JACKSONVILLE, Fla. - A company that puts behavioral health counselors into local schools with the goal of helping at-risk students is facing a class-action lawsuit brought by some of its own former employees. The I-TEAM has learned that the lawsuit could affect the program’s presence in area schools for the upcoming school year. 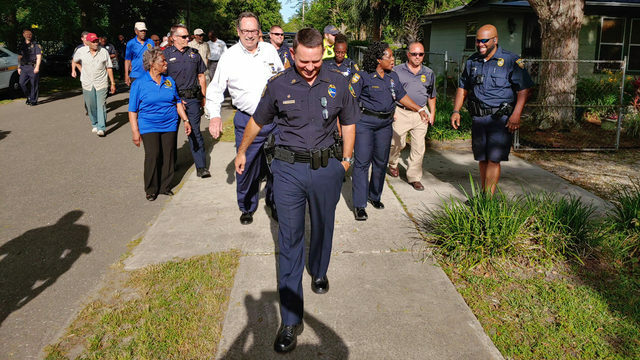 In our area, the company, Motivational Coaches of America, or MCUSA, has partnered with Duval, Clay and St. Johns public schools, working with students at no cost to the school districts. Now, counselors from northeast Florida have joined with others statewide in that lawsuit, saying MCUSA refused to pay them their wages. The counselors say the teenagers labeled by the district as “at-risk students” are the ones victimized by the situation. The motivational coaches are embedded into schools to make a positive impact on the lives of students, but as the I-TEAM learned, some coaches have been forced to abandon the troubled teens because the coaches say they aren’t being paid. MCUSA places its coaches in 13 Florida school districts, helping students tackle issues like substance abuse and depression. They’ve also stepped in to help in times of crisis: Following February’s deadly school shooting at Marjory Stoneman Douglas High School in Parkland, MCUSA sent in motivational coaches to provide emotional support for the student survivors. 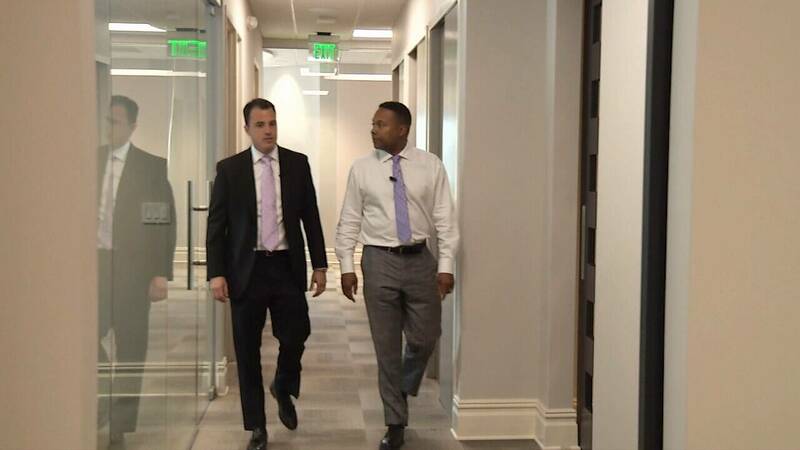 Tampa-based attorney Scott Terry represents currently represents 19 motivational coaches from across the state who are now part of a class-action lawsuit against MCUSA, saying they haven’t been paid. Two coaches who have joined the lawsuit worked in schools here in northeast Florida, and they’ve gone into debt because they say the Miami-based company refused to cut them a check. The counselor said many of the teenagers she worked with had people running in and out of their lives, and unfortunately, she and others have been forced to do the same. She said MCUSA owes her at least $8,000 in unpaid wages, and she said other counselors have told her the lack of payment is hurting their families. “One guy expressed his wife was leaving him because he hadn’t been paid in over three months, so she didn’t believe he was going to work,” the counselor said. Another former counselor told the I-TEAM she is owed more than $13,000. “You don’t work in this field to be a millionaire, you work in it because you want to change the direction of the young people,” she said. The second counselor said she was forced to walk away from her “at-risk” students because she wasn’t paid. The MCUSA program entered northeast Florida in 2015, when Dr. Nikolai Vitti was the Duval County school superintendent. In the beginning, motivational coaches were in seven Duval County schools. But at the end of the 2018 school year, only two schools still had the program. St. Johns County only has one MCUSA coach, who is assigned to Sebastian Middle School. In Clay County, coaches are assigned to Orange Park Junior High School, Wilkinson Junior High and Green Cove Springs Junior High School. News4Jax was on hand as Clay County school superintendent Addison Davis announced the program in January, standing alongside MCUSA CEO Julio Avael, who described the program. Avael promised that his counselors would meet troubled students on their school campuses and address their social and emotional needs. They are doing that, according to the coaches we spoke with, but coaches allege they got nothing in return from MCUSA. In February, a dozen counselors in Palm Beach County quit their jobs, and at least 10 told the Palm Beach Post they left because they were not paid. A public records request submitted to Duval County Public Schools revealed similar turnover issues over the past three years. According to the school district, 42 coaches have worked in the schools over the past three years. The I-TEAM spoke by phone with at least nine of the coaches who parted ways with the company, alleging they were not paid. The MCUSA program pays its coaches after a student’s parents submit paperwork allowing MCUSA to bill Medicaid. Coaches accumulate engagement points for each 15 minutes spent with a sponsored child, either in a group or one-on-one. Coaches are expected to earn 69 of those points per day at about $3 a point, or about $215 a day. The I-TEAM spoke with Avael by phone, and he said certain paperwork needs to be completed for the counselors to be in compliance and get paid: a parent consent form, a parent signature document, and a treatment plan. Avael said the company has posted additional training online to teach coaches how to remain in compliance. The lawyer for the coaches suspects, though, that a large portion of MCUSA’s coaches are currently out of compliance, adding that in his opinion, it’s an excuse not to pay the counselors. “Since the problems were so widespread, the fact that they’re gonna say all of their counselors are magically out of compliance at one time, it just kind of defies belief,” Terry said. The I-TEAM reached out to the Duval and Clay school districts for reaction to the allegations outlined in the lawsuit. Duval County school administrators would only say they are monitoring the allegations and they are still in contract with MCUSA. A spokesperson for Clay County Schools said this is currently not an issue in their school district. Similar complaints of counselors not being paid for compliance issues have also surfaced in Broward and Pasco counties.